In an effort to improve children’s classes, we’re happy to announce our new curriculum with Imam Zaffar. Imam Zaffar would like to meet with parents on Tuesday, September 6th after Maghrib 7:30pm at the Masjid. The Imam will discuss the new curriculum that will cover courses on the Arabic Alphabet, Fiqh, Akhlaaq, Aqaa’id, Simplified Tajweed, memorization and many more subjects. This meeting will also cover what days and timing will work best for everyone. The blessed Eid-al-Adha will be on Monday, September 12th insha’Allah. Takbeer will start at 7:30 am followed by Eid Salaat at 8:00 am sharp. Adult Friday evening program will commence from September 16th after Maghrib. Imam Zaffar will be covering the 40 Hadiths & Tafsir. Insha’Allah the program will continue every Friday. ICOVC Membership renewal is passed due. We please request all members to renew your membership by October 1st, 2016. 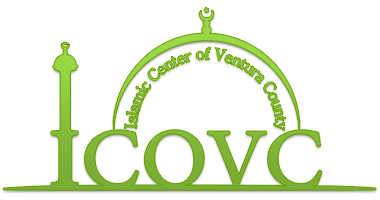 If you would like to inquire about becoming a member please contact brother Muzzamil at 805-988-6062.